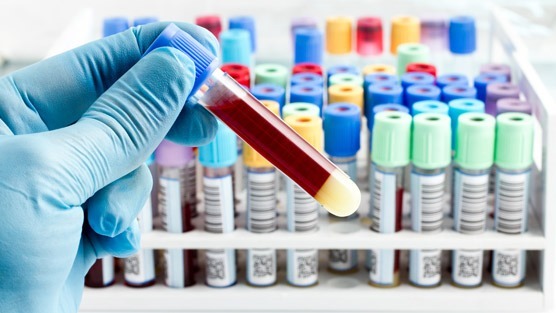 Aeterna Zentaris Inc. (NASDAQ: AEZS) has recently announced that they have begun promoting APIFINY, the only cancer specific, non-PSA blood test for the evaluation of the risk of prostate cancer, in 20 U.S. territories pursuant to its co-marketing agreement with Armune BioScience, Inc. Under the co-marketing agreement, the Company will promote APIFINY to designated medical professionals and will receive a commission for each test performed resulting from its targeted promotion. APIFINY is the only cancer-specific, non-PSA blood test that is designed to aid clinicians in the risk assessment for prostate cancer. APIFINY technology measures the body’s immune response to cancer and is based on the measurement of eight prostate-cancer-specific autoantibodies in human serum. These autoantibodies are produced and amplified by the immune system in response to the presence of prostate cancer cells. The autoantibodies are stable and, because of their amplification, are likely to be abundant and easy to detect, especially with small tumors characteristic of early-stage cancers. The autoantibody markers span a range of biological functions integral to prostate-cancer progression. Cell cycle, structure, and cellular signaling pathways are all represented. The use of APIFINY results supplement other information about a patient’s risk of prostate cancer and may therefore aid clinicians in the detection of prostate cancer. APIFINY may be used in men who have an elevated PSA (>2.5 ng/ml) and are considering a prostate biopsy. APIFINY measures cancer-specific biological markers that may provide you with additional insight to support a clinical decision. Combined with existing patient information and your clinical experience, APIFINY may aid in the assessment of prostate-cancer risk. Currently, there are no prostate cancer screening or detection tools that are perfect. APIFINY test results combined with existing patient information and your physician’s clinical experience may aid in the assessment of prostate-cancer risk.